- Preheat your oven to 200 C degrees and line a muffin tray with liners. 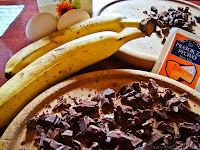 - Add the oil, sugar and egg to the bananas and give it a good mix. 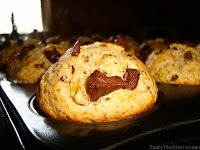 - Add the flour, baking powder, salt and most of the chocolate chips and mix until well combined, but don't over mix. Keep the rest of the chips to sprinkle on top of the muffins. - Place the mixture in the muffin liners, equally dividing it. 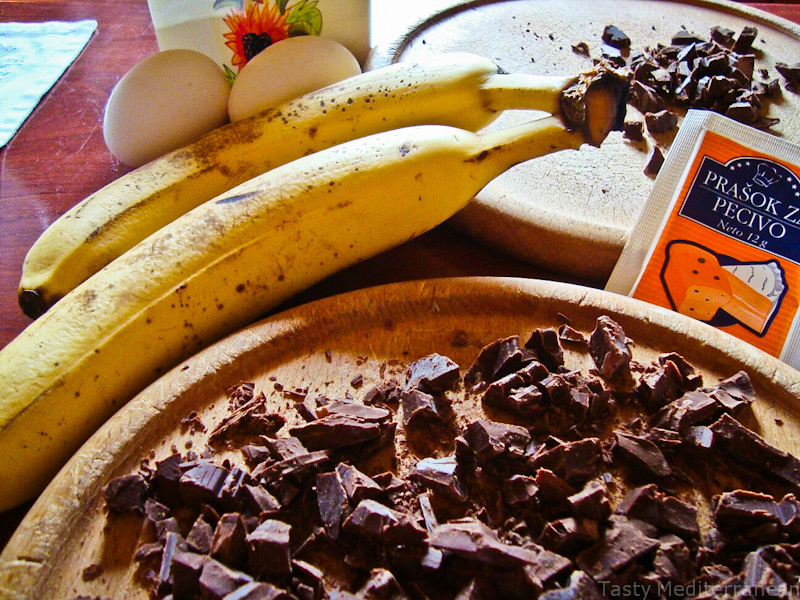 Sprinkle the remainder of the chocolate chips on top. 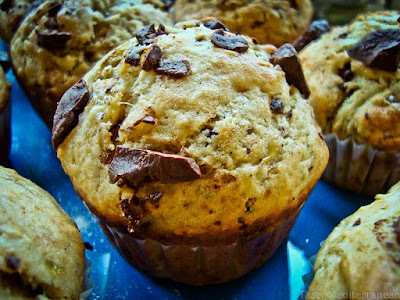 - Bake for 15min, then turn the oven off and leave the muffins in for additional 2-3min. Enjoy!